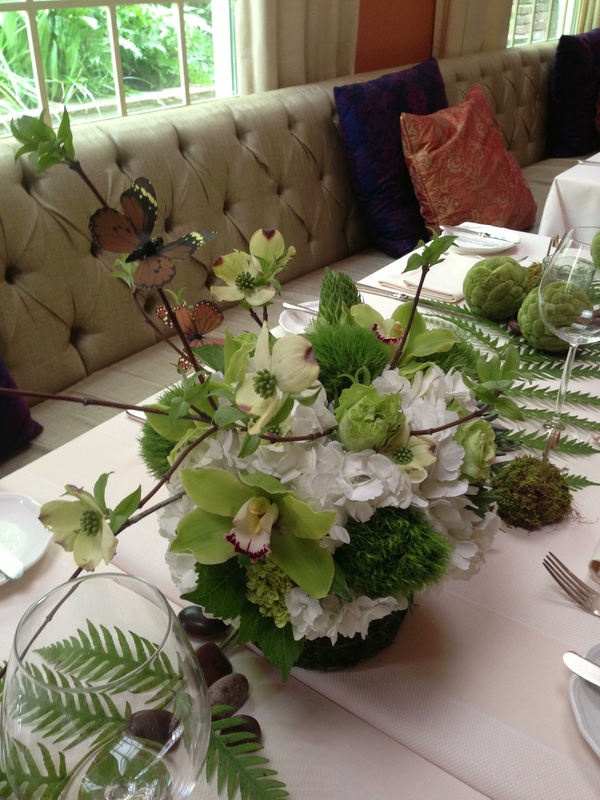 Here at the Enchanted Florist, we love all things green. 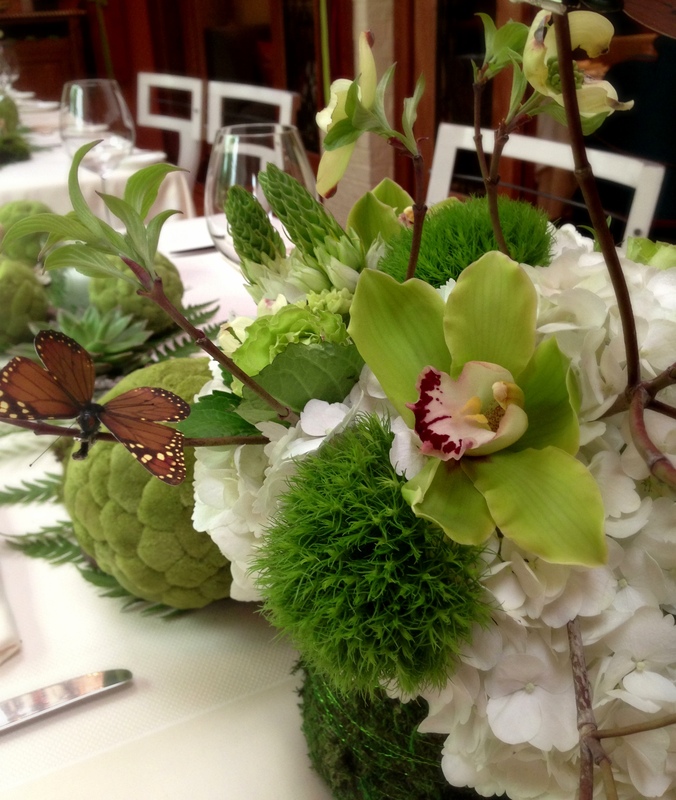 So when we were asked to create a lush tablescape of organic and “green” elements for a client hosting a group of leaders in the field of renewable energy, biotechnology, and sustainable development, we were on it!! 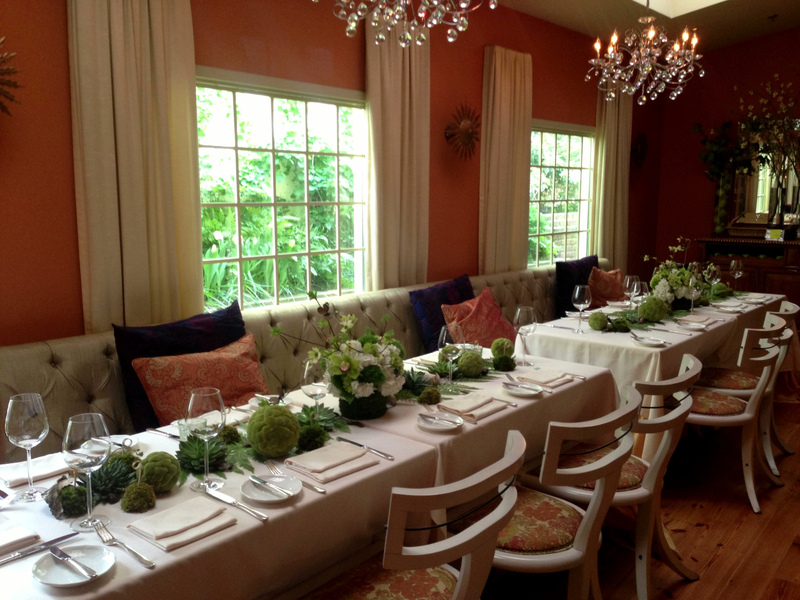 Even sweeter – the event took place in Restaurant Eve‘s intimate “Sunflower Room”, the perfect setting for this nature-inspired soiree. 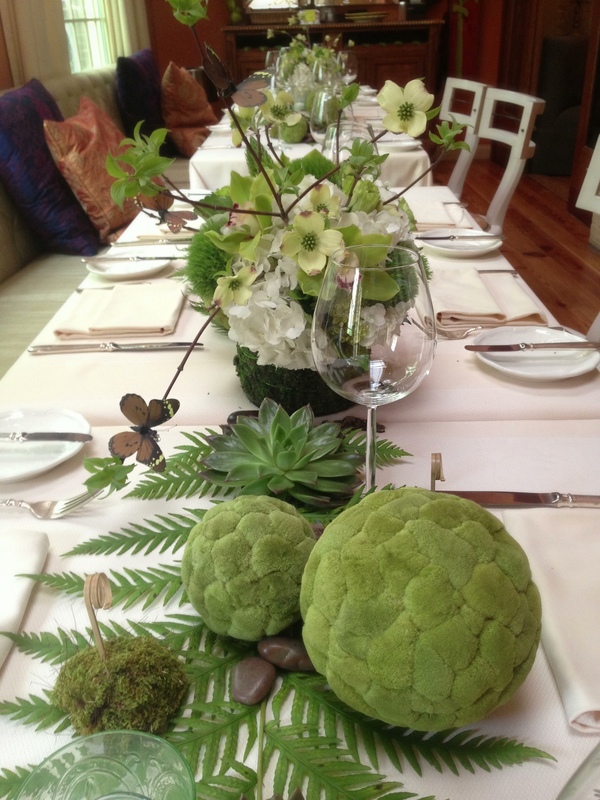 Using succulents, moss balls, ferns, river rocks, birch bark, dogwood branches, and more — we were able to create a setting that carried the gorgeous garden of Restaurant Eve indoors, and brought the client’s vision to life. Update: Received this lovely email from the client, which always makes what we do that much more fun! 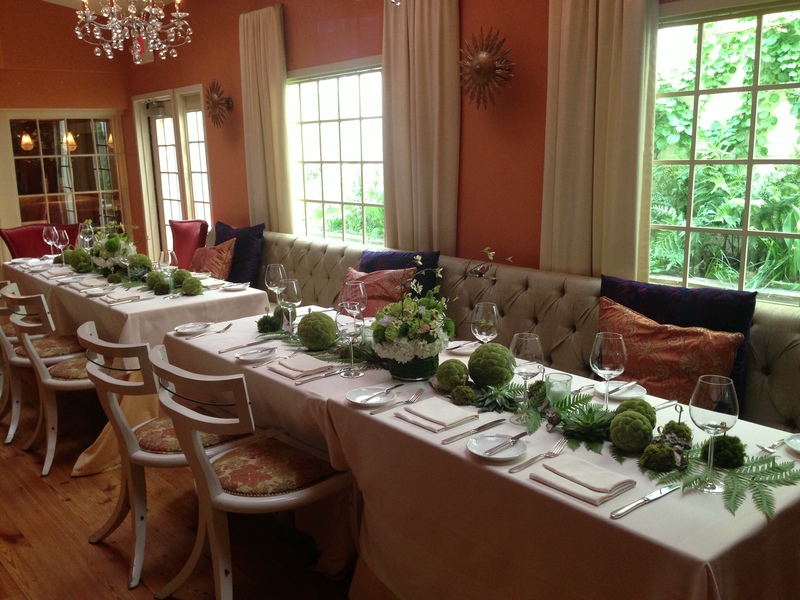 Oh my, it was absolutely perfect! Enchanting is apropos. Only wish had taken a picture — got there later than planned, and whirlwind once stepped through threshold into room full of delights. Thanks, look forward to next event!